The Orangewood team of staff, board members and volunteers is second to none. The longevity of our staff is a testament to our culture and our mission. More than half of our employees have been with us for five or more years and a quarter for 10 or more years. Our Board of Directors is comprised of leaders in all segments of the community. Not to be forgotten are our volunteers who give over 5,500 hours of their time to our youth. 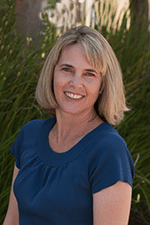 Sara has been Orangewood’s Director of Marketing since 2001. Prior to joining the Foundation, she worked in corporate marketing for over 15 years with companies including Nestle, Verizon Wireless, and Brown-Forman Beverage Company. About her job, she says, “I love working with donors, the community, and the media. But the best part of my job is telling the inspiring stories of the youth we serve in a way that will inspire the community to get involved.” Outside of work, she enjoys spending time with her husband, Rick, and their two children, camping, traveling, or watching movies at home. Her stress relievers are currently tap and Irish dance classes. 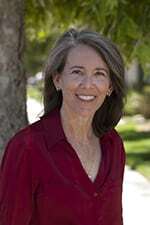 Tracy began at Orangewood Foundation in 2005 as the sole Grant Writer. She has over 25 years of experience at organizations serving youth. Tracy is mission-driven in her work and passionate about helping to improve the lives of children, youth and families. In 2012, Tracy was promoted to her current position of which she says, “My greatest joy is to help staff discover their passion and gifts to support Orangewood’s mission and their own professional growth.” Outside of work, Tracy loves to cook, hike and spend time with her husband, Steve, their five children, spouses and 10 grandkids! Also, as a 500 hour Registered Yoga Teacher, her desire is to inspire well-being throughout our community. Sheree joined Orangewood in 2011 as a Clinical Supervisor and was promoted to her current position in 2016. She has worked with youth in foster care and on probation for over 20 years in Orange, Riverside and Los Angeles counties. “What I love most about my job,” she says, “is advocating for those who don’t feel their voice matters or are afraid to speak up.” Sheree is married with a young son. She relieves stress by going to the beach to enjoy the waves and watching for dolphins. She loves Mexican food (“I can’t eat enough guacamole”) and watching our local sports teams (“Go Ducks, go Angels!”). She is a licensed Marriage and Family Therapist. 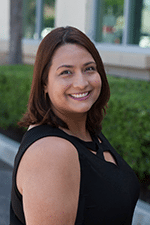 Alicia is a Licensed Marriage and Family Therapist who has been involved in the social services industry for almost 17 years. She is passionate about providing high quality services to the at-risk and foster youth population and is deeply connected to the community. 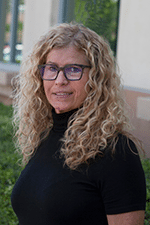 She was hired as Orangewood’s Director of Transition Youth Services in May 2018. “What I love most about my job,” she says, “is getting to be a part of the youth’s journey and seeing them conquer and push through adversity and discover their greatest potential.” Outside of work, she enjoys planning her wedding, spending time with her family and friends, exercising with her dog, Bella, kickboxing, doing escape rooms, trying new food/restaurants and traveling. Linda has worked in the non-profit sector since 2009, previously with two organizations that served individuals experiencing homelessness. She came to Orangewood in 2016 and has been inspired by our mission ever since. She says, “I love the fact that I work for an organization filled with dedicated staff who do whatever it takes to make a difference in the lives of the youth we serve. I’m inspired by our mission to help them reach their greatest potential. In some cases, our youth have no idea how great they can be!” Outside of work, Linda enjoys spending time with her husband, Tim and their two grown sons, exercising, skiing, cooking, reading, and playing games. Linda has been working in the nonprofit field since 1987. Before joining Orangewood in 2004, she ran a foster family agency and other community based programs at the David and Margaret Home. About Orangewood’s mission, Linda says, “I love that we have the freedom to develop services that are needed by the youth. It’s an honor to be part of their journey from adolescence to adulthood.” Linda has four children and six grandchildren. When she isn’t working, she enjoys traveling with her husband, Peter. As a stress reliever, Linda likes to do some sort of physical activity each day. She is a licensed Marriage and Family Therapist and has a 2nd degree black belt in Shotokan Karate. John’s passion is to help kids have a chance at the life they were meant to have. So joining Orangewood in 2014 was a perfect fit for him to use his skills as a CPA and live out his passion. What he enjoys most about his job, he says, is, “I’m able to help the organization run efficiently in order for program staff to do their jobs to help youth.” John is married to his wife, Kara, and has three children, a son in the Navy, a daughter at Georgia Tech and the youngest who is five. He was recognized by CalCPA and the Orange County Business Journal as the 2018 Not-for-Profit CFO of the Year. When he is not working and with his family, John loves to either road bike or mountain bike around Orange County. 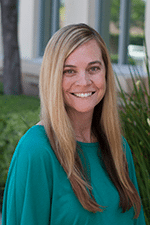 Lawren joined the Orangewood team as Director of Transition Youth Services in 2017 after serving youth for 13 years with Boys Town, a national youth and family serving organization. In 2018 he was promoted to his current position. 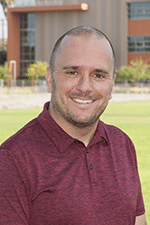 He loves the micro and macro aspects of his job, saying, “Every day we strive to build consistent, positive, and supportive relationships with youth. 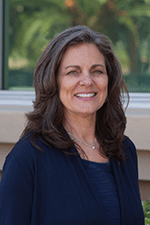 At the same time, we strive to create equity of opportunities for youth in our community.” Lawren currently serves as the President of the Orange County Alliance for Children and Families, and Co-Chair of the Orange County Child Welfare System Improvement Partnership. He and his wife, Summer, have four children. His hobbies include gardening, surfing, hiking and chasing his children. Anthony started his career in education in the classroom, teaching business and math. He was named “Rookie of the Year” his first year of teaching. His success in the classroom propelled him into administration. 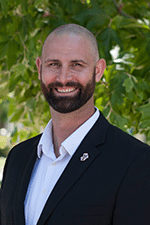 Prior to joining Orangewood Foundation as Head of School of Samueli Academy in 2012, he was the principal of Frazier Mountain High School in Lebec, California where he created an environment where teachers can collaborate and form a common standard and curriculum for students. About working at Samueli Academy, Anthony says, “It’s truly an honor and a privilege to serve the students and families of Orange County, and together we’re building something very special. 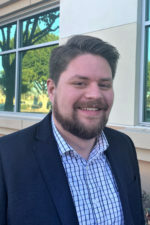 Samueli Academy is a school that has produced graduates who are knowledgeable and confident.” Originally from Bakersfield, Anthony now resides in Newport Beach with his wife and two children. 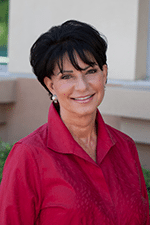 Pam has been with Orangewood since 2011. 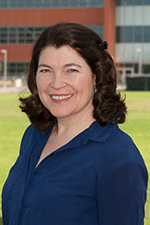 Prior to working at the Foundation, Pam was the CEO of Pretend City Children’s Museum and the Director of Marketing and Development of Discovery Science Center. In a past life, she was also a TV producer at WWL-TV, a CBS affiliate in New Orleans (her hometown). As Capital Campaign Director, Pam likes showing prospective investors Samueli Academy. “They are always highly impressed with the way we teach (project‐based learning), the student engagement, the caring teachers and the general awesome vibe on campus,” she says. Pam loves to hike and take active adventure vacations, and enjoys Blues and Jazz festivals. 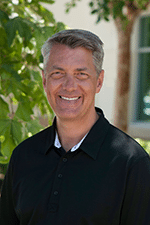 Chris started his career in various finance roles, most recently as the CFO at the Auto Club. He joined Orangewood Foundation in 2007 as the CFO and was promoted to CEO in 2014. About the Foundation’s mission, he says, “I love the fact that Orangewood will do whatever it takes to support a youth to make positive steps to improve their life.” He continues, “I love seeing a smile on a youth’s face after one of their successes, no matter how large or small it might be. Every day is different.” Chris has four grown children. He loves the LA Kings hockey team and traveling, setting a goal to make one international trip per year. He is passionate about music and has seen his favorite band, Metallica, in concert over 20 times. 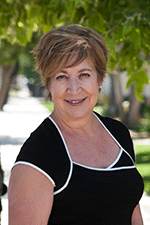 Jami has been with Orangewood since 1989. Over the years, she has held a variety of positions including Administrative Assistant and Program Special Events Coordinator. She was promoted to the human resources role in 2003 and has earned her SHRM CP certification as a human resources professional. She loves working with the Orangewood Foundation and Samueli Academy staff. Outside of work, Jami likes to travel and share new experiences with her daughter. She also enjoys walking her dog, gardening, cooking, and watching movies. 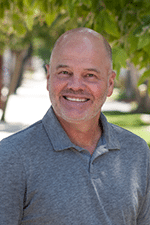 Rick joined Orangewood Foundation in 2018 after four years at a nonprofit tech company in Silicon Valley. He has worked in IT for over 10 years, primarily in the nonprofit sector. Rick was drawn to his current position because of his interest in working with underserved and vulnerable communities. “I love getting to work with an amazing group of people and finding ways to improve the technology we provide to better serve our mission and the needs of our youth.” When Rick is not working, he loves traveling with his wife, Lauren, and their dog, Tiberius. CEO/President, Universal Asphalt Co., Inc.
President & CEO, Motive Energy Inc.
CEO, Safety Supply America, Inc.
President & CEO, Acra Aerospace Inc.
President, RPL and Associates, LLC.